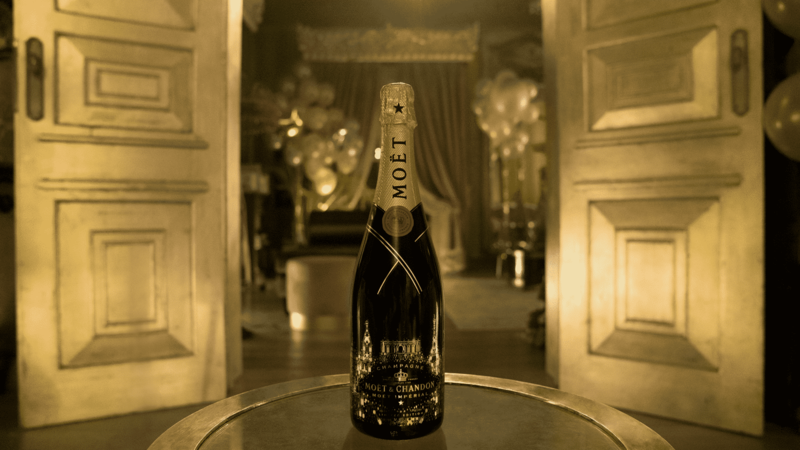 Moët & Chandon has a legacy that is inseparable from French history. Having been founded in 1743, many pivotal moments in the champagne house’s history intersects with France’s national narrative and all things French. It is with this longstanding association in mind that the renowned champagne label has created their limited edition bottle for the festive period this year. 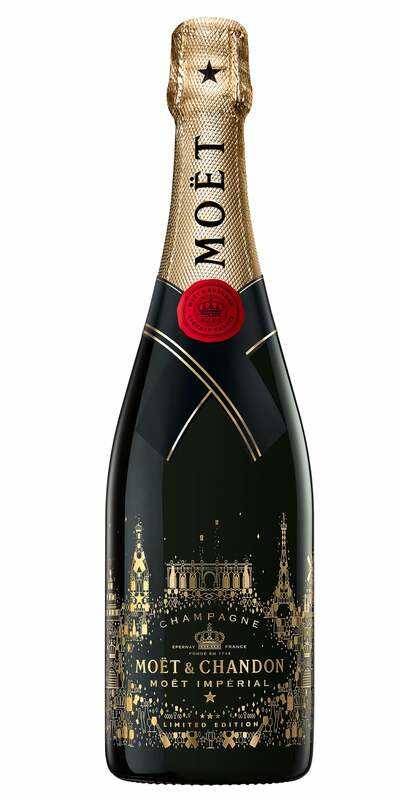 Named a Tribute to the French Art-de-Vivre, this special bottle of Moët Brut Impérial is detailed with a landscape of gilded monuments in France that have intimate ties with the brand’s history. The bottle conveys the story of the brand’s lifetime through architecture. It begins with the golden outline of an orangerie (a conservatory that is distinctively French in design) from Épernay that Jean-Remy Moët built in the 1800s, within which numerous high-profile guests were entertained. The building is flanked by a towering champagne pyramid that instinctively recalls the presence of Moët & Chandon at parties and wedding celebrations. Right next to these quintessentially Moët emblems are two national structures that define France: the Arc de Triomphe and the Eiffel Tower. The Arc was constructed by Napoleon Bonaparte, who harboured a deep connection with the Moët family and considered himself an ardent drinker of their champagnes, while the Eiffel Tower is an icon of French luxury constructed when Moët & Chandon’s popularity skyrocketed. Packed with symbolism, this beautiful tapestry on the bottle elevates a Tribute to the French Art-de-Vivre into a work of art that will wow at any festive party you have planned, or as a present to the champagne fan in your life.